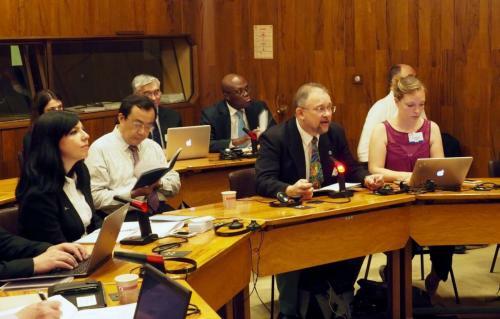 On 24 June at the 28th Session of the Intergovernmental Oceanographic Commission (IOC) Assembly in Paris, Steve Hall, Head of the NOC’s International and Strategic Partnerships Office, was elected as Vice-Chair of the Intergovernmental Commission of UNESCO. The IOC acts as the custodian of ocean science within the UN system through a number of global programmes and has also established international tsunami warning systems amongst many other activities. Steve’s election as Vice Chair enables the UK marine science community to have a voice at the centre of IOC-UNESCO, enabling the community to network, and promote capabilities, technology and values into shaping how international marine science programmes, policy and legislation evolve over the next few years. In addition to Steve’s election, the UK delegation took an active role in the main plenary plus working groups on finance, capacity development, future of IOC, nominations, GEBCO and the 2nd International Indian Ocean Expedition. The UK delegation’s activities over the past year have been very well received by many member states at IOC, particularly in relation to the Policy Brief 13 focussing on the Future of the IOC. The policy brief was developed principally by Steve Hall, with editorial support from Roland Rogers and Jennifer Riley, in conjunction with the UK National Commission for UNESCO (UKNC). This policy brief was the first publication that the UK-IOC delegation has produced with UKNC. The aim of the brief is to encourage discussion and debate between member states regarding the future activities and remit of IOC. We hope to publish further Policy Briefs in conjunction with the UKNC and other IOC ‘Group 1’ states. The 28th IOC General Assembly was held between 18 – 25 June 2015 and was preceded by a one day science meeting (17 June 2015) and a one day Executive Council meeting (16 June 2015). A full report of the meeting will be made available in due course. NOC and University of Southampton staff, Steve Hall, Roland Rogers, Jennifer Riley, Alan Evans and Maria Baker (with support from intern Ellen Harrold, University of Glasgow), made up the UK delegation to the Intergovernmental Oceanographic Commission (IOC) 28th General Assembly. 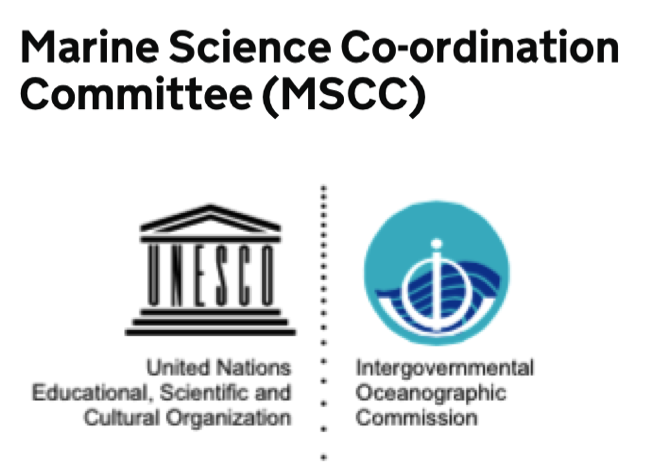 IOC is the UN commission responsible for provision of marine scientific advice to the broader UN family, and is the parent organisation of initiatives such as the Global Ocean Observation System, Integrated Ocean Data Exchange IODE, tsunami warning system and Argo. The UK delegation takes an active role in the main plenary plus working groups on finance, capacity development, future of IOC, nominations, GEBCO and the 2nd International Indian Ocean Expedition. The UK delegation’s activities over the past year have been very well received by many member states at IOC, particularly in relation to our Policy Brief 13 focussing on the Future of the IOC. The policy brief was developed principally by Steve Hall, with editorial support from Roland Rogers and Jennifer Riley, and in conjunction with the UK National Commission for UNESCO (UKNC). This policy brief was the first publication that the UK-IOC delegation has produced with UKNC. The aim of the brief is to encourage discussion and debate between member states regarding the future activities and remit of IOC. We hope to publish further Policy Briefs in conjunction with the UKNC and other IOC ‘Group 1’ states. The UK delegation to IOC hosted a breakfast meeting on 18 June 2015 to officially present the policy brief to the 28th General Assembly. Over 50 people attended the meeting. The UKNC provided hard copies of the policy brief translated into French and Spanish to facilitate its uptake. The breakfast meeting provided the opportunity for member states present to present many high quality and substantial comments, which will feed into the working group on the Future of the IOC. As of 2015, 147 nations are members of IOC and can attend the General Assembly. The General Assembly is held every 2 years, with an Executive Council meeting held annually. 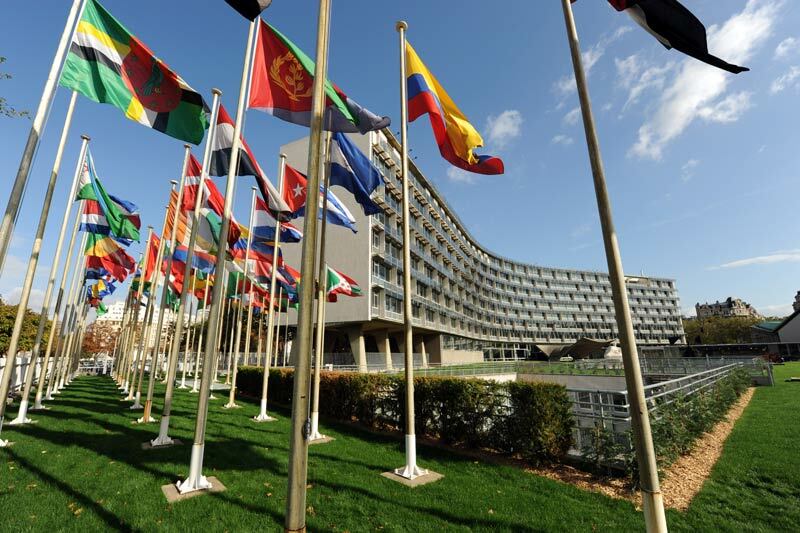 The meetings are held at the UNESCO headquarters in Paris. The UK is currently a member of the Executive Council, and hopes to be re-elected for the next 2-year period of office. Elections will be held during the 28th General Assembly. The UK also hopes to be elected to the joint position of Chair of Group 1 and vice-chair of IOC. Broadly group 1 countries include Western Europe, USA and Canada (Click here for a detailed list of Group 1 countries). The 28th IOC General Assembly was held between 18–25 June 2015 and was preceded by a one day science meeting (17 June 2015) and a one day Executive Council meeting (16 June 2015). A full report of the meeting will be made available in due course. According to what was decided at the 8th Session of the ICG/NEAMTWS, NEAMTIC was tasked to produce multilingual awareness and educational materials on tsunami preparedness for the general public, schools, and emergency response agencies. To this end a new website has been developed which includes a new logo. An important new feature of the NEAMTIC website are dedicated pages for each of the ICG/NEAMTWS Member States. The website is still a work in progress as such there is still some information to be uploaded and or modified. Please email the programme specialist, Francesca Santoro with any information and awareness raising material in your own language so that the website can be updated. Please, also send any information about events or news that you would like to share. Steve Hall attended this meeting, held at Sint Maarten (part of the Kingdom of the Netherlands, in the Caribbean on 18-21 May 2015. Steve chairs the UK Overseas Territory delegation on behalf of IOC and represents the interests of UK Overseas Territories, since not all are able to attend the meeting. 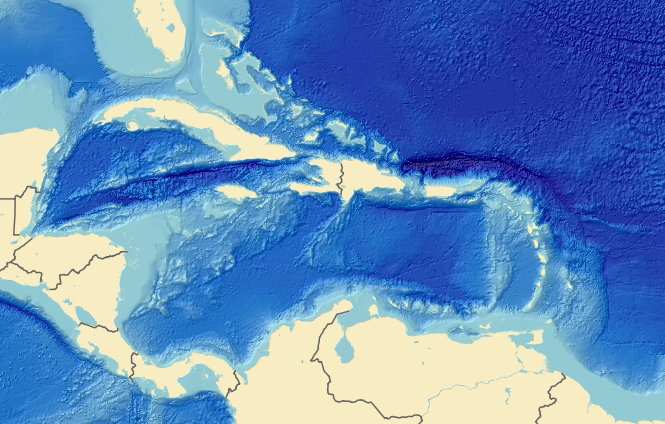 The Intergovernmental Coordination Group/CARIBE Early Warning System was established in 2005 as a subsidiary body of the IOC-UNESCO, with the purpose of providing efficient assistance on tsunami risk reduction to Member States in the Caribbean region after the 2004 Indian Ocean tsunami. 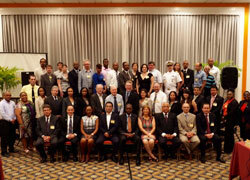 Participants included representatives from across the Caribbean Region representing disaster and emergency management departments and agencies as well as from various regional and international organisations. During the meeting the attendees reviewed the report of the last CARIBE WAVE 2015 simulation, an annual exercise designed to evaluate the response capacity of Caribbean countries and adjacent regions in the event of a tsunami. An update was also provided about the Caribbean Tsunami Information Center (CTIC), and the establishment of various work groups to provide information about: monitoring and detection systems; warning guidance; hazard assessment; preparedness, readiness and resilience; warning communication and dissemination. Following the meeting in Sint Maatens, Steve travelled to Anguilla on 22 May, to meet with the government to discuss capacity building, knowledge exchange, extreme events and tsunami warning systems. In particular Steve has been working jointly with a technical expert from NOAA and the Anguilla government to install two new tide gauges off the coast of Anguilla, which will contribute to part of the tsunami warning system network. During this visit Steve was able to work with his colleagues to inspect a choice of proposed locations for a new tide gauge as well as to discuss ownership, training and upkeep of new systems. During the forthcoming IOC Assembly Steve will also be promoting the achievements of the IOC Caribbean Tsunami Warning System and suggesting stronger links with the North East Atlantic and Mediterranean Tsunami Warning System. This meeting took place in London at IMarEST on 11th May 2015. Steve Hall has succeeded Stephen de Mora as the chair of the MSCC International Working Group. This was the first meeting that Steve Chaired. As such, given Steve’s other responsibility as head of the UK-IOC delegation, a decision was taken to combine the MSCC meeting with UNESCO-IOC Exec/Assembly Pre-meeting. Jennifer Riley and Anne Brazier were also present. Overall there was a good level of meeting attendance with delegates from MMO, FCO, DEFRA, BODC, MEDIN, private sector and DFiD including Ambassador Matthew Sudders from UK Permanent Delegation to UNESCO. Key outcomes were approval of new Terms of Reference for the MSCC international working group (with minor amendments), approval of UK-IOC team’s approach to IOC Assembly and Executive Council agenda items, approval for Hall to stand as Vice-Chair IOC Group 1, approval to seek UK re-election to IOC Executive Council, approval to present UK-UNESCO National Commission policy brief 13 at the IOC Assembly. Further actions included continued work on comprehensive database of UK international marine science activity and policy contacts. Between 17th and 25th June 2015 the IOC Assembly and Executive Council will meet for two weeks. The agenda has now been published and timetabled, although it is anticipated that other side events and meetings will be added over the coming weeks. Relevant documents for the meeting can be downloaded from the IOC website. The UK Delegation will consist of Steve Hall (Head of Delegation), Rolly Rogers and Jennifer Riley. Invited experts also participating in this year’s IOC Assembly will also include Maria Baker and Alan Evans. Over the past year the UK-IOC team has been working closely with the UK National Commission (UKNC) for UNESCO to produce a policy brief on the future of IOC, from a UK perspective. This policy brief has now been officially published. 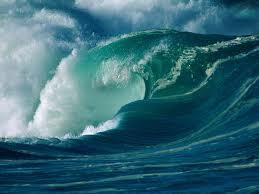 As part of its launch, it has been circulated to all of the permanent delegations to UNESCO and the IOC secretariat. The new Executive Secretary of IOC, Valdimir Ryabinin, has also received received this policy brief and as a result has included its discussion as an agenda item at the Executive Council meeting prior to the 2015 Assembly in Paris, June. To further promote the policy brief to the IOC delegations in attendance at the IOC Assembly, the UK IOC delegation, together with the UKNC for UNESCO, will be hosting a breakfast meeting on the first day of the Assembly to highlight the key messages to all interested delegations. It is hoped that this will help to formulate key discussions during the Assembly, Future of the IOC session. NOC hosted the IOC Group 1 meeting during the week of Ocean Business, on the 15th April 2015. The meeting was chaired by Peter Haugan (Norway) with Steve Hall, Roland Rogers, Jennifer Riley (NOC, UK) Craig McLean (NOAA, USA) Alain Vezina (DFO Bedford, Canada), Arthur Paterson (USA) and Monika Breuch (German met office) plus others in attendance. The successful discussions led to agreement on a joint approach to IOC Assembly and Executive Council business matters, agreement to support Peter Haugan’s candidacy for Chair of IOC, and the proposal for Steve Hall to stand as Vice-Chair for IOC Group 1 countries, the latter being supported by USA, Canada, Germany. In the past, the two groups had a separate existence but there is enough overlap in the interests of the two to combine the provision of information about their work to the wider ocean science and policy community and at the March 2015 meeting of the Marine Science Coordination Committee it was agreed to take forward joint working wherever possible. 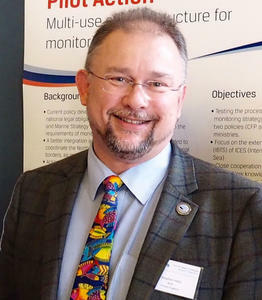 Stephen Hall, Chair of the UK-IOC Committee and Head of the UK delegation to IOC-UNESCO, now chairs the MSCC International Group and has also been tasked by the Ocean Processes Evidence Group (OPEG) to bring a more joined-up approach to how the UK ocean science community interacts with European & International bodies. For example there is no comprehensive database of who represents the UK in the full range of international and intergovernmental working groups and committees, who they are accountable to, who pays for their work, etc. We’d like to explore how best we can maximise the international impact of UK ocean science through better networking, mutual understanding of who-does-what, and exploring whether sufficient resources are allocated to the tasks in hand. The UK IOC delegation hosted a Group 1 meeting at the National Oceanography Centre during the week of Ocean Business (15 - 16 April). Representatives from USA, Canada and Germany attended the meeting. This meeting helped better prepare the members in attendance for the General Assembly taking place later this year in Paris, aligning common strategies and approaches to shared issues arising from the main IOC agenda. At the Executive Council (EC) meeting in 2014 the head of delegation for each EC member state voted in a secret ballot, to shortlist candidates for the position of IOC Executive Secretary and Assistant Director-General of UNESCO. Interviews of the shortlisted candidates were held at UNESCO over the summer. The successful candidate was Mr Vladimir Ryabinin. Vladimir has worked most recently as a Scientific Programme Officer for the World Climate Research Programme, at the World Meteorological Office in Geneva, Switzerland. His official IOC appointment will start in March 2015. The outgoing Executive Secretary Wendy Watson-Wright left post on 11th January 2015. 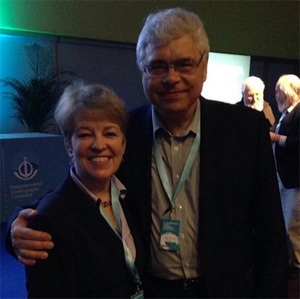 In this interim period Ms Flavia Schlegel, Assistant Director-General of the Natural Sciences Sector, was entrusted with the responsibilities of the post of Executive Secretary of the Intergovernmental Oceanographic Commission ad interim. Steve Hall, (Head of the UK IOC delegation) has represented UK-IOC at the ICG-Caribe Working Group Meeting which was held in the US Virgin Islands, 12-15th May 2014. This meeting primarily focussed on tsunami warning systems in the Caribbean and was of interest to the UK because of our ongoing responsibilities for our overseas territories. As a result of attending this meeting Steve has now ensured that all UK overseas territories have tsunamis focal points for any alerts and warnings issued. Steve has also been working in his ‘tsunami national contact point’ role with the Cabinet Office, Defra, Environment Agency and Met Office to explore improvements to how the UK would respond to a tsunami. Cornwall County Council took part in the North East Atlantic and Mediterranean (NEAM) Wave14 training event on 29th October and with support from Steve, and lessons learned will be fed back to IOC and the UK emergency responders to improve future response. Steve is also working with the UK overseas territories to try and provide new tide gauges in some key locations in the Caribbean where the technology is ageing and needs updating. He is also in contact with the British Chamber of Shipping to improve tsunami awareness for passenger ship operators in the region. Mike Osborne of OceanWise represented the UK IOC committee at the Caribbean Marine Atlas 2 kickoff meeting in Miami 25-29 August 2014. The meeting was intended as both the closing workshop for the Caribbean Marine Atlas phase 1 as well as the kickoff meeting for the CMA2 project. There is no lack of national “atlases” in the region, but there is a need for a platform and mechanisms that can facilitate the sharing of data and information, as well as expertise on atlas development. It was therefore decided that CMA2 should focus on the promotion of the best available and authoritative data sources, tools and services through a regional data, information and services platform that will contribute to the development of national and regional atlases and related products and services to support Decision Making and Monitoring & Evaluation processes for improved marine and coastal resources management in the region composed by the Caribbean and North Brazil Shelf Large Marine Ecosystems. The UK-IOC office worked closely with the UK National Commission to UNESCO during 2014 to undertake the publication of a policy brief reflecting on the current mandate of IOC in an increasingly complex world of marine science and policy organisations, needs and requirements. The policy brief will be officially launched in the coming weeks and will be circulated. 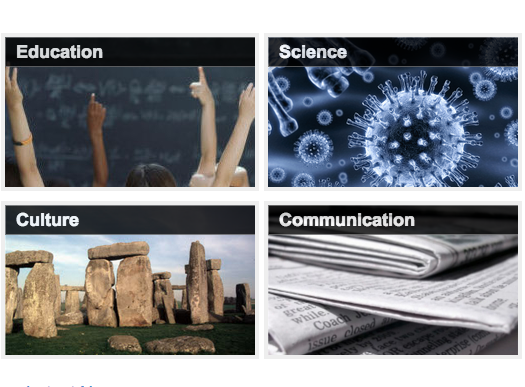 In 2015 the UKNC is undertaking a review of the value of UNESCO to the UK, in view of the imminent election and to build on the previous report ‘Wider Value of UNESCO’, which focused mainly on financial gains from UNESCO. In order to ascertain how valued the work of the IOC is, the UK-IOC office and UKNC have produced a survey. If you are contacted by the UKNC to participate in the survey we will very much appreciate the cooperation and time you invest in responding. We hope to also use some of the survey results to improve the way the UK-IOC office operates and interacts with the wider UK marine community.